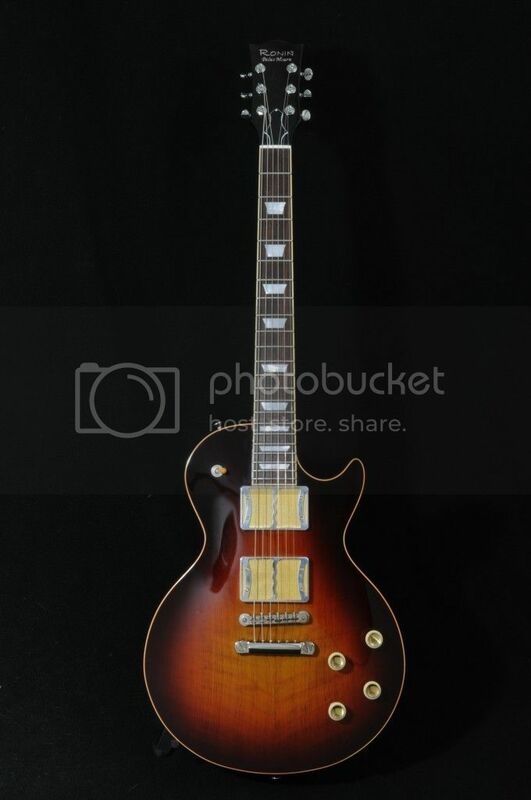 I am looking to let go of a few fantastic guitars that I just have too much cash into and need to some liquidation. This is one of only a few PalusMourns with Foilbuckers that I have seen. The foilbuckers were updated to the higher output versions as well which sound great. 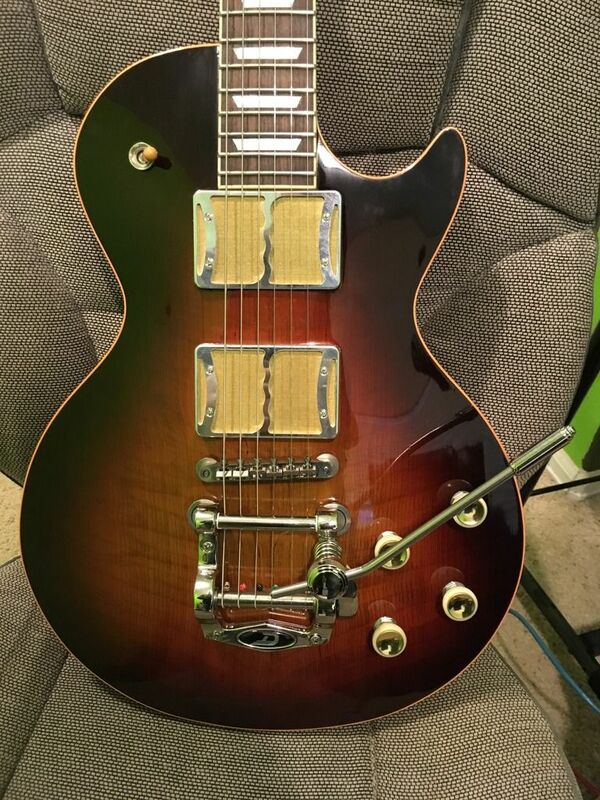 This guitar can do all of the things a great Les Paul style guitar can do if you push the tone pots back a bit or can do more transparent chimey tones if you turn them up. You can get a ton of incredible tones from this guitar. 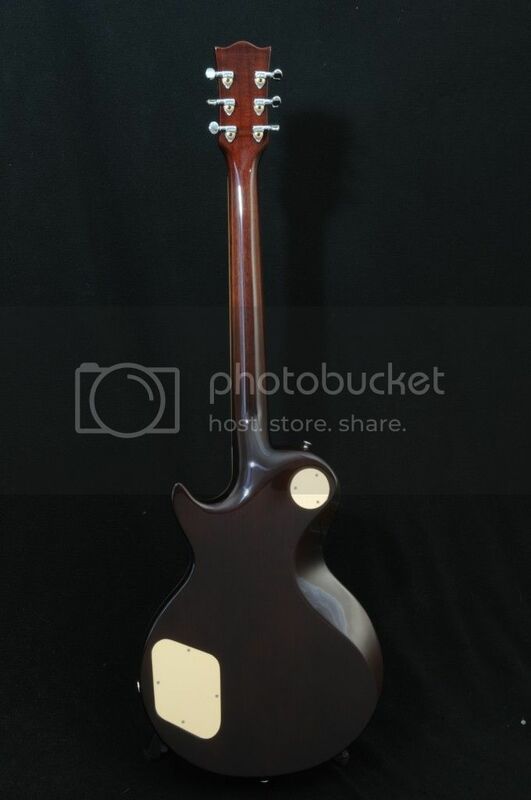 Recently purchased new from Jim @ Prime Guitars (Ronin Dealer) and virtually unplayed, like new condition. Another upcoming Ronin purchase motivates the sale of this PaulMourn. Comes with all original paperwork and Reunion Blues gig-bag as per Ronin. One little perk: When I purchased the guitar from Jim, he sent it directly to the Ronin team who insisted I upgrade the earlier version gold foil pickups with their latest spec gold-foils - super nice folks. Nothing but lush, majestic, articulate tone from this bespoke instrument! 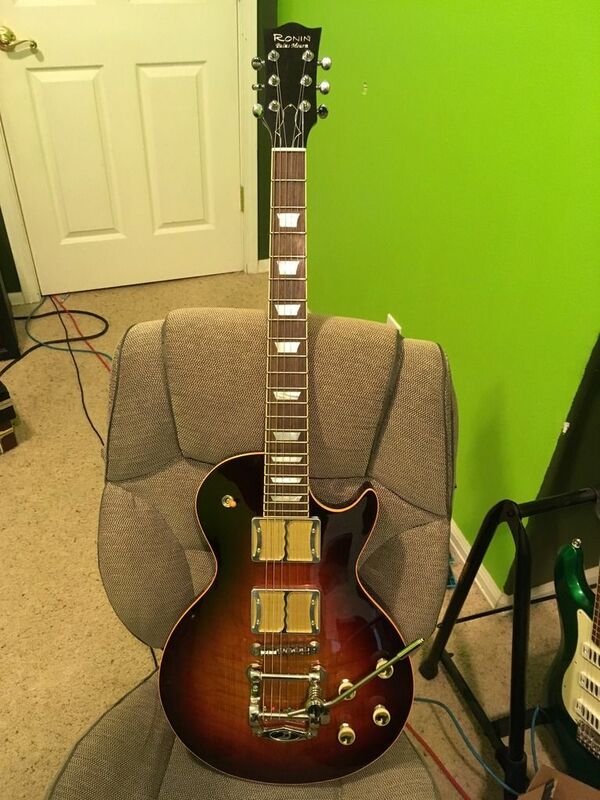 Had a couple of questions on the neck dimensions. It is very much in the same camp as my 2007 Murphy R9 in terms of feel and size. Caliper measurements are .90" at the first fret and 1.0" at the 12th fret. on the larger size of what I'd call a medium C shape. But not an R8 baseball bat, nor a slim R0 shape. 1.687" nut size. Hope this helps! Otherwise $OLD Shipped and Paypal takes this home. Would look great under anyone's tree. Gnash, enharmonic and Jaya like this. I had a Mirari too. The incredible thing is they all have their own sound for the most part too since each pretty much has pickups that were designed for the guitar. I just can't afford to have so much into guitars for now.